Design objective is to provide enough contact between air, water and chemicals to enable oxidation and entrainment of odorous compounds. Most commonly used scrubbing liquids are sodium hypochlorite , potassium permanganate and hydrogen peroxide solutions. 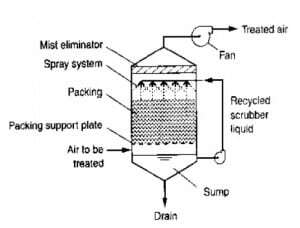 Sodium hydroxide is also used in scrubbers where H2S concentration is high in gas phase. Reaction products that can occur, depending on the local waste water chemistry , include elemental sulfur, sulfate thionates, dithionates, and manganese sulfide. Potassium permanganate is generally used in smaller units as it is expensive. 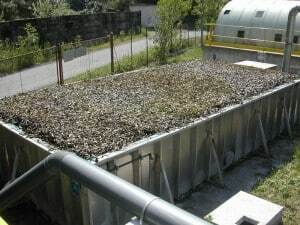 Hypochlorite scrubbers are expected to remove oxidizable odorous gases when other gases concentration is minimal. 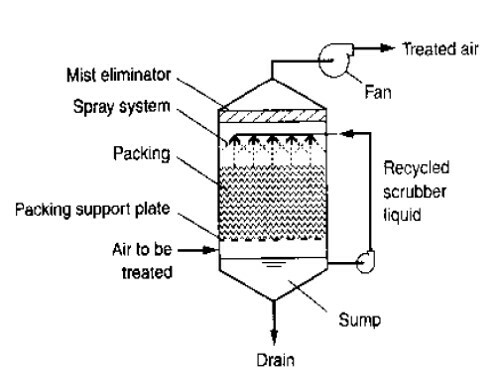 In case where the concentration of odorous components in the exhaust gas from the scrubber are above desired levels, multistage scrubbers are often used. Rate of adsorption for different constituents or compounds will depend on the nature of the constituents (polar Vs. Non polar). 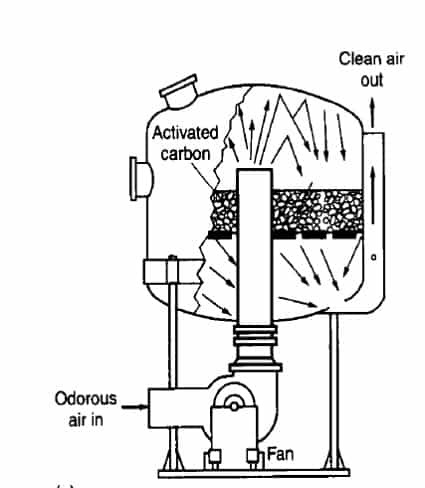 Removal of odors also depends on the concentration of the hydrocarbons in the odorous gas, as hydrocarbons are removed preferentially before polar compounds. As carbon beds are limited and needs to be regenerated thereby for prolonged life it is used in two stages followed by wet scrubber. 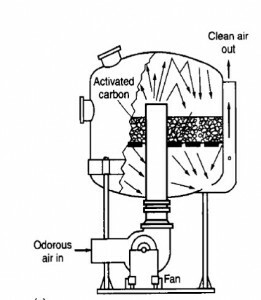 For effective use of activated carbon the composition of odorous gases to be removed must be known. Decrease in temperature reduces the energy requirements significantly. Recuperative and Regenerative thermal oxidation processes are used to reduce fuel consumption by preheating the incoming air. In recuperative oxidizers, thin wall tubes are used to transfer heat recovered from exhaust air to incoming air. In regenerative oxidizers, ceramic packing material is used to capture the heat from the hot exhaust gases and release it to the incoming air.